Do you wish to keep a record of your weekly diet achievements with our weekly diet planner? Download a free weekly diet planner - keep track of your diet to help your better health goals. 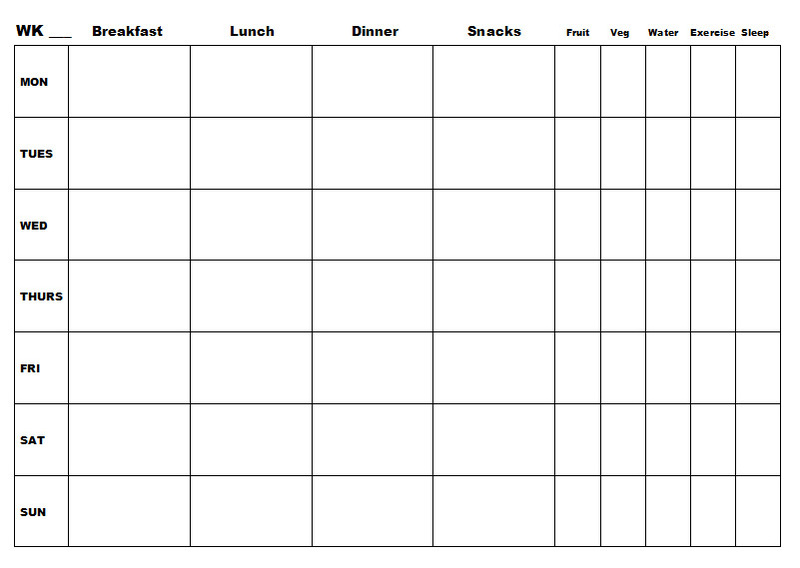 Our free meal planner is a simple diet diary printable on A4 sheets. It's simple, very print-friendly, and comes in a weekly format enabling you to record your breakfast, lunch and dinner plans. There's even columns to record your water intake and 5-a-day fruit and veg results. And best of all, it's free to print!